Congratulations to Nargiza Kasimova of Uzbekistan, our winner in the "Summer Living and Working in the USA" photo contest! 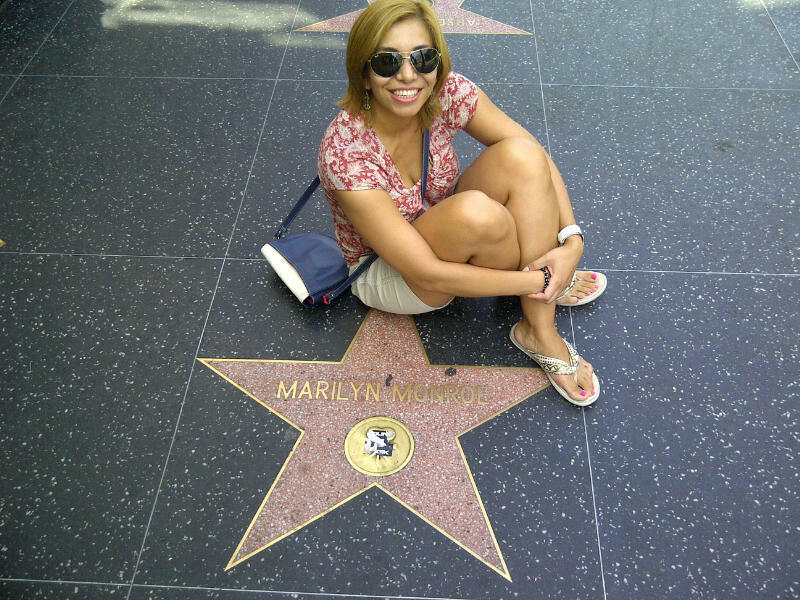 Nargiza is seen here posing at the Hollywood Walk of Fame in Los Angeles, CA. As the winner of the Summer 2011 photo contest, Nargiza has won $75! Thanks to everyone who sent in photos, and we hope to see your smiling faces again in our next photo contest! Check out all of this year's fantastic submissions on our Flickr page. Be sure to "friend" us on Facebook to stay up to date on Career Training USA news, upcoming intern events and new contest announcements.